The number of entertainment shows aired during prime time each week has dropped to 38 from 126, said the watchdog. The news came as the president warned of the influence of Western culture. In the piece published in a Communist Party magazine, President Hu Jintao also urged efforts to boost the country's own soft power, said Xinhua. The order, which was issued in October 2011, limits each of the country's 34 satellite channels to two entertainment programmes each week and a maximum of 90 minutes of entertainment content every day from 19:30 to 22:00. Broadcasters are also required to air at least two hours of news programming between 06:00 and midnight. They must each broadcast at least two 30-minute news programmes between 18:00 and 23:30. The country has the largest number of television viewers in the world - an estimated 95% of its 1.3 billion people. "Satellite channels have started to broadcast programmes that promote traditional virtues and socialist core values," SARFT said in a statement. Talent shows and reality TV are among the biggest casualties of the cuts. The list of restricted programmes also included talk shows and emotional stories that were deemed to be of "low taste", said the Xinhua news report. In September last year, censors told Hunan Satellite Television to take the popular talent show Super Girl off the air. They said the show, which featured women of all ages in a singing contest, was ''too long''. However the SARFT statement also said that popular dating shows, such as If You Are The One, and soap operas, such as Li Yuan Chun, produced by Henan Satellite TV, will still be on air during prime time on weekends. If You Are the One, produced by Jiangsu Satellite TV, is the most popular dating show. It broke viewership records in 2010, prompting copycat programmes by other broadcasters. The high ratings of such programmes and their relatively low production costs meant bigger profits for the satellite TV stations. 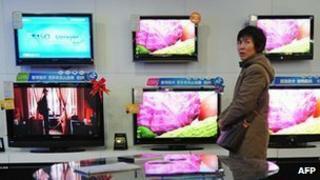 But regulators, however, saw red over the sensationalist and ''vulgar'' content.